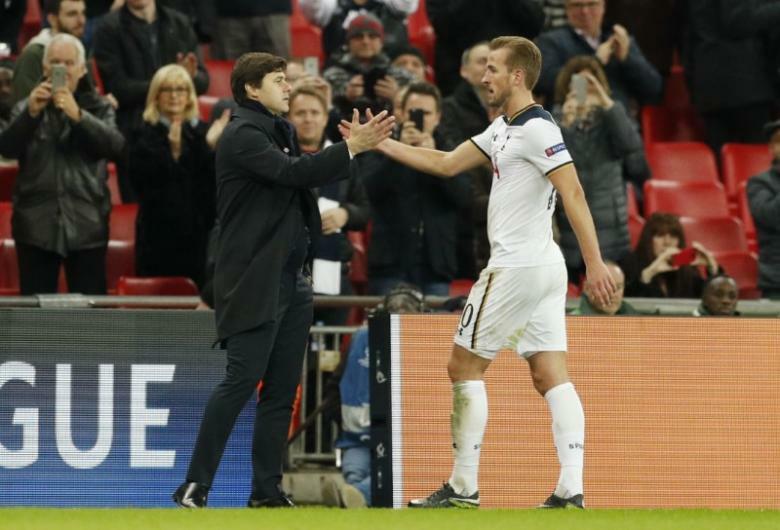 LONDON – Harry Kane has yet to score against Manchester United in the Premier League but that could end at the sixth attempt on Sunday. Tottenham Hotspur’s England striker is not short of confidence ahead of the trip to Old Trafford, having scored twice against Swansea City in a 5-0 thrashing at White Hart Lane last weekend after agreeing a new six-year deal. Victory for fifth-placed Tottenham would send them nine points clear of Jose Mourinho’s side, who are sixth, and leave United with a yawning gap between them and a place in the Champions League next season. Tottenham beat United 3-0 at White Hart Lane last April, before Mourinho took over in May, but Kane did little to stand out – to the amusement of Reds’ fans on social media and his own frustration. United, who won 1-0 at home in August 2015, are the only club other than Watford and now-relegated Cardiff City, among the 24 opponents Kane has played against in the top flight, that have yet to see the Tottenham striker on the scoresheet. The 23-year-old, last season’s top scorer who has been linked regularly to United in transfer speculation, is back in dangerous form having gone five league games without a goal at the end of last season and the start of the current campaign. He has scored seven in his last six Premier League outings and will be keen to get Spurs moving back into contention with Chelsea breaking away at the top. The North Londoners, who played CSKA Moscow in the Champions league at Wembley on Wednesday, are visiting United at a good time with their hosts having drawn their last three games 1-1 after conceding late equalisers. Mourinho, whose side are at Ukraine’s Zorya Luhansk in the Europa League on Thursday, left Antonio Valencia, Matteo Darmian and Michael Carrick out of his squad to keep them fresh for Sunday. “The players I had to leave out to protect (them),” the Portuguese told reporters on Wednesday. Chelsea, three points clear of closest rivals Arsenal and four ahead of Liverpool, are at home to West Bromwich Albion on Sunday in a match that could bring them a ninth win in a row. Liverpool host West Ham United the same day at Anfield while unbeaten Arsenal, who racked up a record 14 league wins in a row up to August 2002, should have an easy afternoon at the Emirates on Saturday when Stoke City come to town. Stoke have not won at Arsenal since 1981, long before the Premier League came into existence, and have yet to take a point at the Emirates. Champions Leicester City, teetering on the brink of the relegation zone with just 13 points from 14 games, are at home to Manchester City, who have striker Sergio Aguero starting a four-match ban, on Saturday.